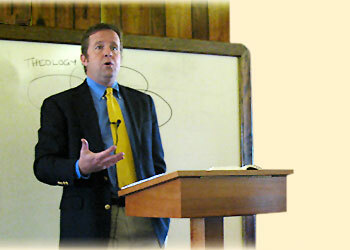 Dr. Horton's adult Sunday school class continues this Sunday at CURC. These lectures are taken from the material in his forthcoming book on the Great Commission, Commission Accomplished, the third in his trilogy following Christless Christianity and The Gospel-Driven Life. Classes are on most Sundays at 11.30am, after the morning Divine Service. You may also listen to them online for free on our website. But if you are able, come visit. While listening online is better than nothing, it cannot compare to being here in person. You are warmly welcomed to visit.